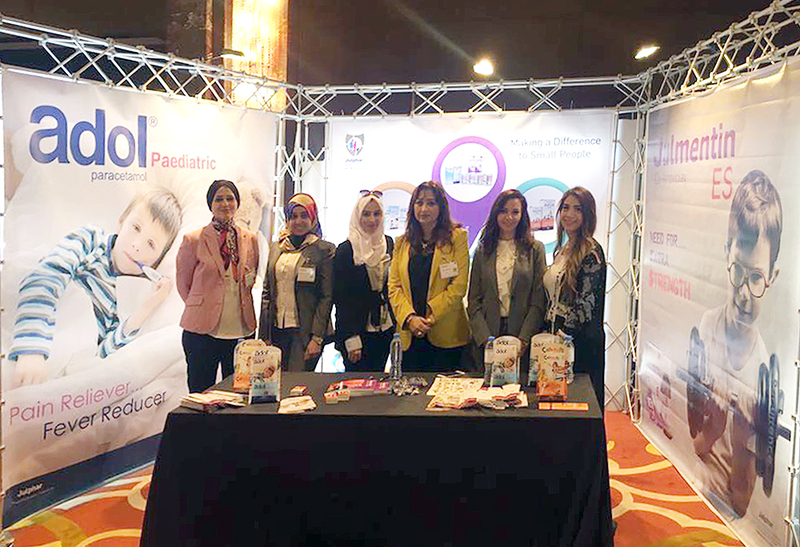 Julphar “Paediatric Care” participated in 3rd International Paediatric Medical Congress taking place from 9-11 November 2017, together with leading experts in paediatrics. The program is designed to cover the latest advances in the field of children’s health and updates on the latest guidelines and treatments in the paediatric diseases. During the Congress, notorious speakers and leading global experts covered the latest practices & knowledge in paediatrics, Paediatric Hematology, Respiratory, Neurology, Gastroenterology, Emergencies, nutrition and rare diseases, during informative and interactive sessions with the participants. “Julphar’s participation in the congress was an opportunity to raise the awareness on our key available therapies in paediatrics nutrition and neonatal practice, in the scope of our vision to achieve high quality care for children and neonates”. As addressed by Dr Hosam Badr, Julphar Marketing Director, “This year we sponsored "meet the expert" sessions which gave an opportunity to have face time with distinguished experts who answered HCPs questions in small interactive groups”.